On Thursday the Blackhawks announced a one-year deal with Swedish forward Jacob Nilsson. For the last three seasons Nilsson played for Mora IK. The Blackhawks had pretty good intel on the forward; during the 2015-16 and 2016-17 seasons, current Rockford IceHogs head coach Jeremy Colliton coached Nilsson in Sweden. With Colliton as his coach, Nilsson set a career high with 20 goals in 46 games 2016-17. 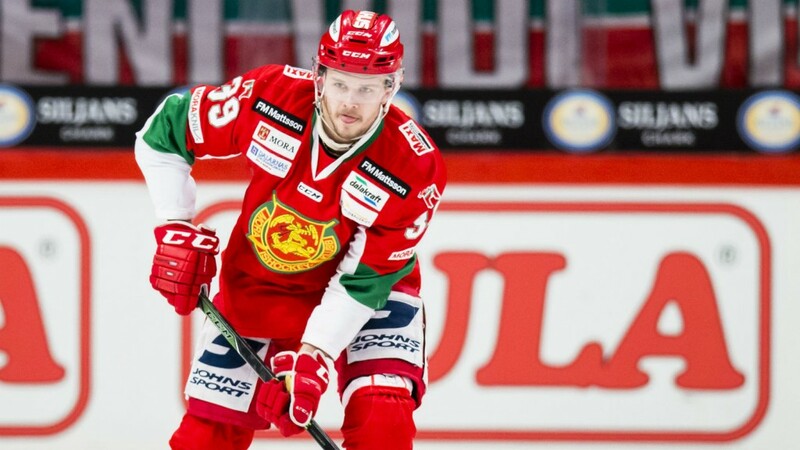 Nilsson made the jump from the Allsvenskan to the SHL and was limited to 18 points in 40 games this past season. Nilsson, 24, is listed at 5-11 and 179 pounds. What about Stalberg part II??? He can skate like the wind, kills penalties and was productive overseas this season. Oh, and most important, he has beautiful hair. Given his history with the ahl coach not a bad player to take a shot at. Should be quite a few spots available in Rockford for the forwards. Why? So now the coach from the AHL is scouting a player who played for him in a second tier division in Sweden? Are the pro scouts working? Or on vacation? Embarassing! Look for 1st or 2nd round picks stuck in the AHL , still young, who may be worth trading for. Not too old but no room on the NHL roster! Like Ty Rattie was, or Hickey with the Islanders who was stuck in the AHL for years! Like Patrick Sharp or Kris Versteeg! Not a player from a 2nd Division in Swedish hockey??? Just lazy and dumb! By the way, if you want to keep Kane, Toews, Keith and Seabrook interested, bringing in a James Neil or a Ric Nash or Eric Johnson will make them happier to stick around for a couple of more years than if you bring guys like Lance Boring Bouma or Cody Franson or Tanner Kero or Osterle!!! Colliton had high praise for this kids motor and upward trajectory in an interview with Scott Powers. It’s kind of like a 6th or 7th round pick. The kid is a late bloomer and might turn into something. Makita, I don’t always agree w/ you, and you go off into tangents, but you are a passionate fan and you make some good points. Oesterle may not even be a top 6 AHL D-man. Lastly Makita, who would you rather have on the team next season, Bouma & Martinsen or a grand, nostalgic return of Morin & Pirri? Oesterle should be in the Austrian league. Like the fact he sounds like that he plays with a bit of an edge to his game, time will tell if his upside is NHL worthy. Just my two cents. But Stan should not trade either first round pick. Take the player that is at the top of the board. Come home with a haul. This is a draft and develop league. Fill holes on July 1 without giving up assets. all I want is Bowman, Kelley and Gauthier be graded on their work. All they need to do is draft NHL calibre prospects in the first 3 rounds. Not all these players may make the NHL, but when you have not drafted high a end goalie, a defenseman, a winger and centre in a 10 year span, then something needs to change. Or you need to man up and admit you have been terrible at your job. Firing Kitchen? The trades? Lack of prospects in AHL is not TOEWS, KEITH, SEABROOK, or KANE’s fault. Coach Q has not helped out either with his doghouse routine at times. But GM’s a judged by drafts, trades and contracts??? Right? Iceman, Morin could never make the team the first time so why was he brought back. This is laziness and a complete lack of vision by these 3 men. Anyway, I hope he does not trade away any of his picks and see what or who they draft. How many Canadian players have they drafted in the last 3-4 years? Any players in the Memorial Cup finals? We need a quick fix on defence because Kane and Toews will not wait 2-3-4 years for dmen to develop. Thus, I hope Calvin DeHaan and John Moore are on Bowman’s radar. Trade away Anisimov, Osterle, Rutta (Hossa) and Murphy. Get Kapanen from the leafs in a trade! Sign a veteran winger like James Neil. Draft Oliver Walstrom if possible. Mitchell and Jokiharju are many years away so get a scoring center at #8 in the first round and a scoring winger or 2 way dman at #27. Please, a goalie in the second round!!! I tend to agree with you Craig, Bowman us in an unique position where free agency and some trades can help immediately and use the picks to help solidify the future too. A key off season could be coming. Really? He was on TSN last week, Jan & Dan. Tough to tell the context. But perhaps the owner is miffed that he’s paying a guy $6 Million per year, the team collapsed without him and his health is shrouded in mystery. Also interesting that the Islanders have picks 11 and 12 and new boss Lou Lamoriello is determined to get a goalie. seems like other GM’s must be seeing what I see.. Anyone have strong opinions/scouting reports on Veleno??? As possible 8th pick over D guys??? they need to get the best player as the holes are many and I like the character guys like Veleno. Wall there are reports Montreal is interested in Kotkaniemi, although Blackhawks and RedWings took him out to dinner too. What is interesting was the possibility raised of Habs trading down from 3rd pick to get a NHL ready center ( Anisimov maybe) and pick him later. Most still have him as going outside top 10 though. He still has 2 years left on his contract in Europe but would probably leave if he was on NHL roster. Wall the last reports on Veleno were he was the top center available in draft not good for centers. Some questioned if he had the offense to be a top 6 center in NHL, like you read about alot of centers this year. Kotkaniemi has probably passed him as top center available but apparently his skating needs to improve to be ready for NHL though. Tkachuk from what i am hearing sounds like if the right team drafts hin he will forgo NCAA and if not he would be willing to wait it out for free agency in 4 years. Velano might be my favorite center prospect, but on a team with an aging vet defense core, and a severe lack of first pair D prospects, I don’t know how they could pass on Dobson, Boquivst, Boucher, Quinn, Hughes. Even Ty Smith. Any one of those guys could break out and be the best dman in the draft after Dahlin. To me it’s you either shoot for a number one pair defenseman or a number one center. Velano could end up as more of a number 2 but if your scouts think he is a number one, he would be as legit of a pick as the d guys. I just prefer one of the D guys, since it is so hard to find and expensive to get a high end defenseman in today’s game. Of course, number 1 centers are in the same boat too. But that’s why I’d stay away from Wahlstrom. The knock on Merkley is questions about his attitude. So he has a risk factor built in possibly. I have said since midseason a defenceman could be best player available when theur turn comes, but taking best player should be high priority to me not where they play. Saw Merkely play twice in person-electric skills. Looked slight in build on the ice. Goldenb–if the Hawks stayed at 7 and Dobson wasn’t in the Cup I think he would be a Hawk-if he is there at 8 to me it’s a no brainer.